Winslow, a journalist who became a P.I. then an author, has written a sequel to his powerful book “The Power of the Dog” called “The Cartel,” about the ongoing savage Mexican drug war. 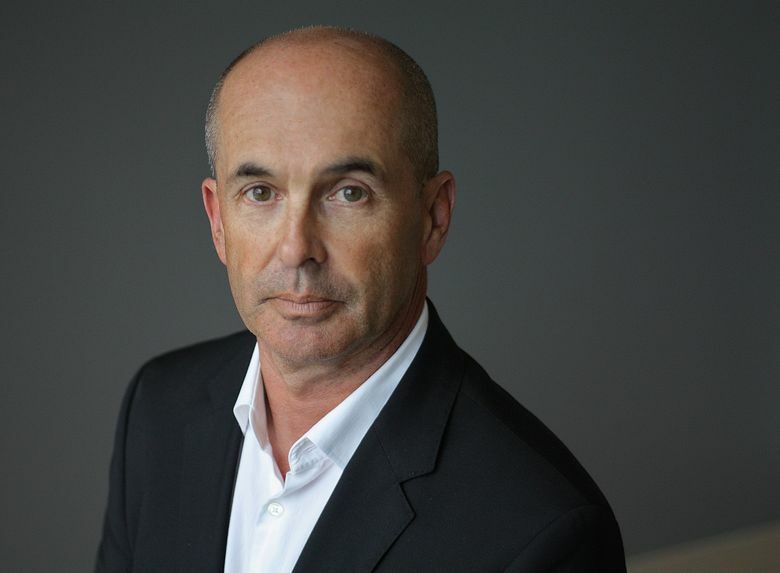 If you have managed to shield your eyes and plug your ears against what’s been going on with the war on drugs in Mexico, Don Winslow’s searing new novel “The Cartel” will tear off the blinders. Brutal violence, torture and death. Thousands of innocent people slaughtered through revenge, mistaken identity or sheer lust for snuffing out life. 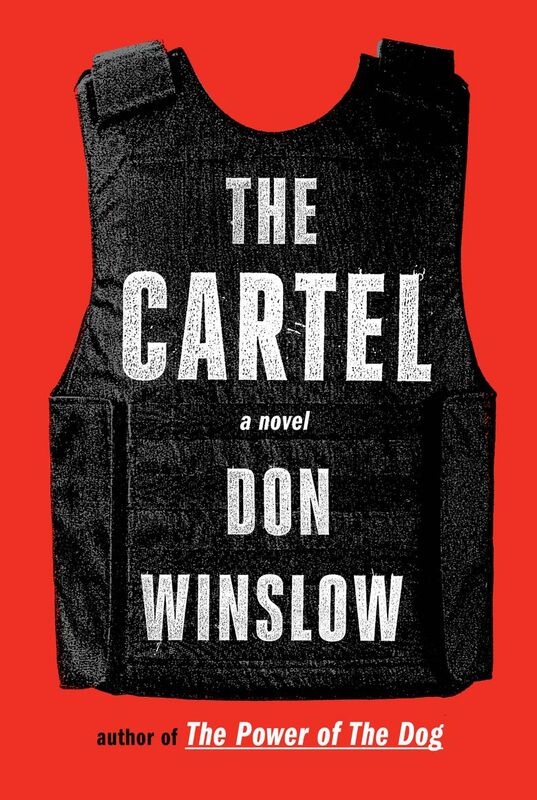 A governmental structure crippled on the local, state and federal level to the point that in Winslow’s telling, in some parts of Mexico there’s no real government at all — except the one the relevant cartel gives permission to operate. Winslow started out in journalism, then became a private investigator. His work included arson cases, which informed his breakout 1999 mystery “California Fire and Life.” He’s written many works of crime fiction, several of which have been made into movies (“Savages”). The author of “The Cartel” will appear at these area locations on Thursday, July 9; he will sign books at noon at Seattle Mystery Bookshop, 117 Cherry St., Seattle (206-587-5737; seattlemystery.com). Winslow will read at 7 p.m. at Elliott Bay Book Co., 1521 10th Ave., Seattle. Free (206-624-6600; elliottbaybook.com). Ten years ago he published an epic novel on the drug wars, “The Power of the Dog.” He thought he was done, but cartel warfare escalated so far beyond his expectations he felt compelled to write a sequel, “The Cartel,” (Knopf, 592 pp., $27.95). It features the same two protagonists, DEA agent Art Keller and Mexican drug lord Adan Barrera. The two volumes have been critically praised, and a movie based on the two books is now in production. This squeamish reader stuck with “The Cartel” to the end because it says something important — a war is being waged just south of us with a level of violence that matches anything in Iraq, Afghanistan or even Syria. Q. How many years have you invested in both books, and why did you return to such a disturbing subject? A. Ten to 11. To be candid, “The Power of the Dog” took a lot out of me. At the time, sadly, I thought I had written about the worst things possible. That is so wrong. The worst incidents in “Dog” probably wouldn’t even have made the papers in 2010-11. Q. The violence in “The Cartel” is horrific. Did you exaggerate any of it, or is it all based on actual events? A. I wish it was exaggerated. I think every instance of the violence in the book happened in one form or another. There were times that I backed off … didn’t have the heart, or I thought they were unbelievable, though I read them in two or three sources, but I didn’t think the reader could cope with it. Q. Why did the ferocity of the violence increase? A. There are several aspects. They (the cartels) hired special forces (either veterans or deserters) to go to work for them. That touched off an arms race of violence. They were out hiring cops, ex-cops and soldiers. At the same time, they brought up special forces from Guatemala, who were involved in anti-communist efforts in Guatemala, and very brutally so. Second, the most violent people rose to the top of these organizations. As the older leaders were killed, the younger ones who came up were largely sociopathic and psychopathic. The third aspect: the militarization of the drug war. These ex-special soldiers were heavily armed, and when the government decided to send in the military, it was not a civil issue any more. Q. It seems to me that Americans have distanced themselves from what is going on in Mexico. Why? A. I do agree with your premise, and I think there are several reasons. It coincides with the post-9/11 era. This phase of the Mexican drug wars coincided with when the Towers came down. The focus was on Middle Eastern and jihadist terrorism — our own people were involved, there were casualties. People only have this much tolerance for this kind of news. The issue, though, is that it’s not the Mexican drug problem, it’s the American drug problem, and to some degree the European problem. In many ways we’ve funded this violence through this simultaneous prohibition of drugs and our appetite for them. Q. “The Cartel” ends in 2012. Where do things stand now? A. The violence has receded somewhat, because one of the cartels has won. There are some theories that say that the Mexican government basically picked the winner (the Sinaloa cartel). The Mexican government picked the least worst people. In some ways I don’t blame them. If you’ve had 100,000 of your own people killed, villages depopulated, all these killings to feed the drug market, I can see them saying, we’re not fighting this war against drugs any more. It’s the Pax Narcoticus, but it’s just a lull … the Jalisco Cartel (is) pretty strong, pretty violent. Q. I was struck with how the drug lord Adan Barrera, who in some respects seems like a normal guy, is able to distance himself from his actions. How does that work? A. I think you distance yourself one step at a time. I call it the Macbeth factor. At the start of the play, Macbeth is a great guy. Then the witches put an idea inside his head, then the king comes to visit, then he kills the king. Then he kills his friends, then women and children. Step by step, anything becomes possible. These cartel leaders, in the early phases they did some of the fighting (themselves), in the latter phase they would send their armies. Q. Washington state has decriminalized marijuana, one of the cartels’ main cash crops. Do you think decriminalization of marijuana will help? A. I think it’s a good step with marijuana, but it’s a partial step. It will affect the cartel organization, but they still control heroin and meth and cocaine. The cartels are buying land in California, getting ready to grow it (marijuana) there. A lot of marijuana is still coming up by the truckloads. People will protest free trade coffee and then think nothing about buying dope and weed. Until we straighten out our drug problem, I’m against recreational-drug use entirely. Mary Ann Gwinn: 206-464-2357 or mgwinn@seattletimes.com. Gwinn appears every Tuesday on TVW's "Well Read," discussing books with host Terry Tazioli (go to tvw.org/shows/well-read for archived episodes). On Twitter @gwinnma.